Zappa was a prolific contemporary composer-performer more or less in the rock idiom, creating some 60 albums in his 30- year career. His original group, the Mothers of Invention, was founded in the 1960s, and personnel varied over the years. His music was innovative, often satiric, usually subversive of the complacent values of middle-class America, and, by the 1980s, frankly embodied political protest. 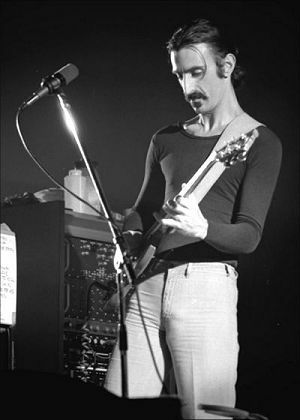 Zappa took rock and roll traditions—the prevailing American popular music since the mid 1950s—and expanded them to challenging social and aesthetic dimensions.